We are called to love one another. It is not always easy, but God blesses our actions when we glorify Him. Several months ago, 8-year-old Phoenix and 7-year-old Kingston, started riding the bus home from Pasadena’s Turner Elementary. Another kid on board called them names every day. 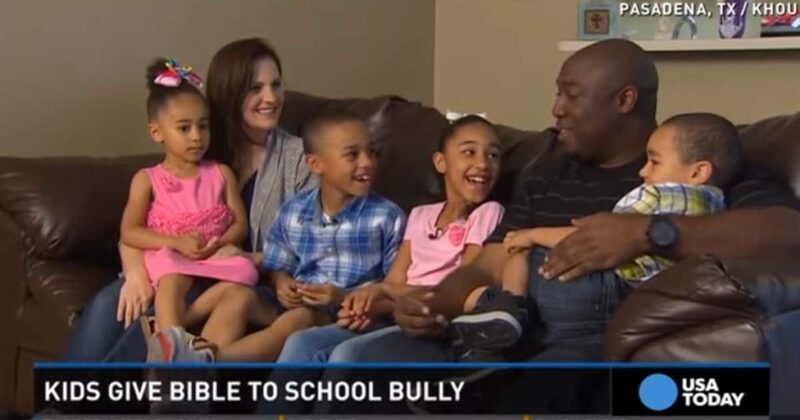 This kid bullied them and made them feel like they wanted to fight back, but they chose to do what’s right. These beautiful children chose to be kind to the people who were unkind to them. It is evident that they responded in the most powerful and effective way of silencing a bully. There´s power in the name of Jesus and in His word. This is an awesome testimony of how we should live as Christians and as Christ followers – pray for those who hate you, love and forgive them. 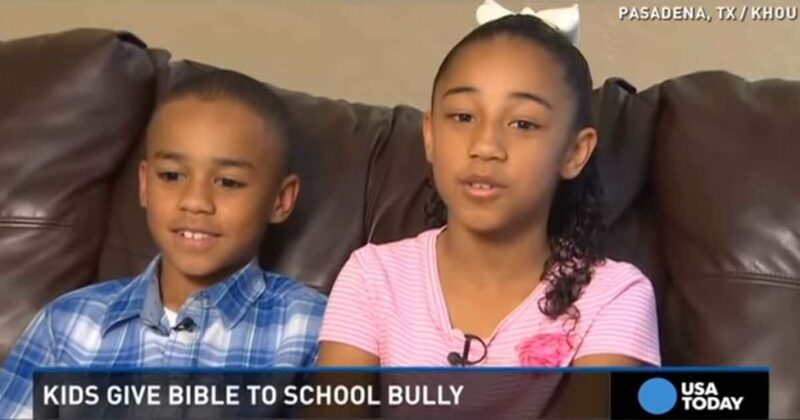 We don’t know the exact reason to why the bully targeted them. 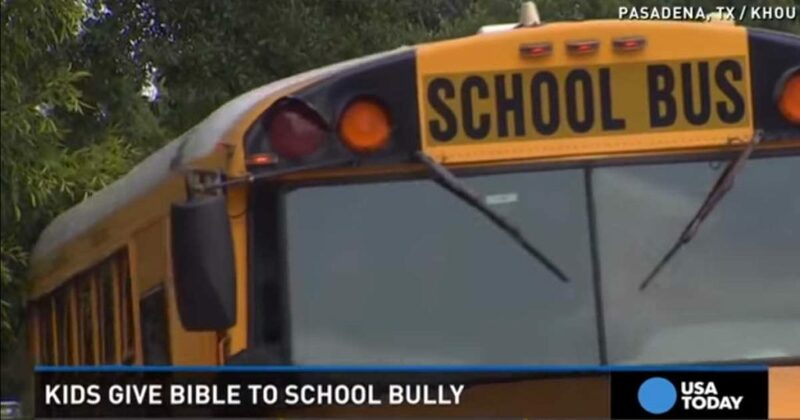 Some say that he just wanted to be loved, and some also say that bullying was just his way of expressing his sadness and anger. The bullying continued and it only stopped after God said, through their Pastor, to love the kid and give him a Bible. They then invited him to church. Witness the kid’s reaction after they gave him the Bible! It’s heartwarming. Way to go, kids! God bless this beautiful family for letting the Light of the World shine through them! What a great way to show God’s love.